I think it's fair to say that I have not always been Warren Gatland's biggest fan (about which I am sure he has sleepless nights 😀 ). Credit where it is due, however. 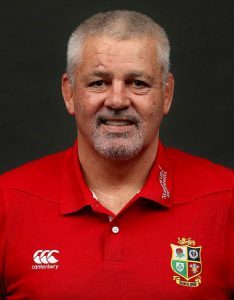 The Lions squad selection for the 1st Test with New Zealand tomorrow is as bold as it is surprising. Of course a case might be made for starting Maro Itoje instead of Alan Wyn Jones (although I can understand the logic of bringing the young English tyro on as an impact player) and I'd probably have Jonathan Joseph on the bench ahead of Leigh ½p, but all in all it's a brave and exciting selection which is, crucially, based on form. That's not to say the Lions will win tomorrow - but it's at least it's a team that we can be confident will be competitive.